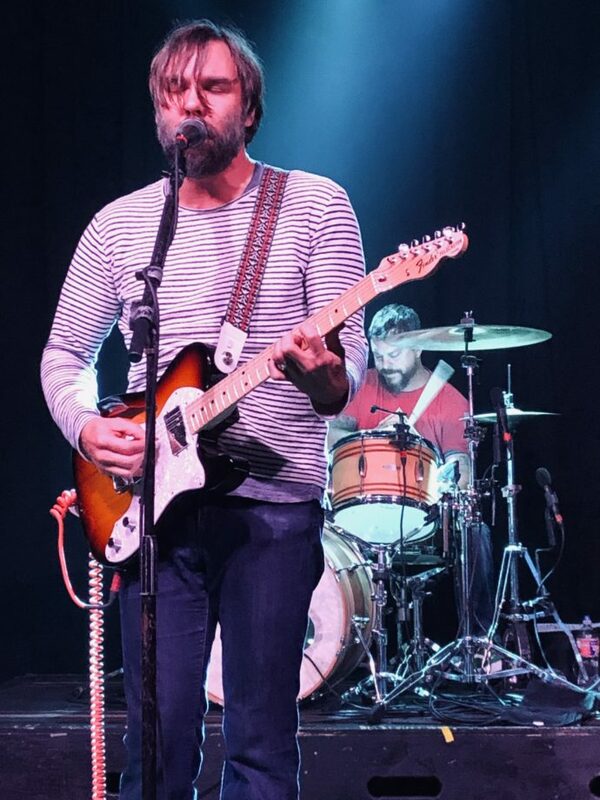 Leaving the concert, my girlfriend asked me “did you know it was going to be that way?” What she meant was did I know that seeing Mineral would include many 30-50 year-old bearded men seemingly having religious experiences. My answer to her was simple, “yes.” Going into the show, I knew that the show was not sold out but that the people who would be in attendance would be die hards. Opening the show was Pohgoh. Like Mineral, Pohgoh’s original run was from 1994-1998. The quartet reunited in 2017 to record a new album, Secret Club which was released late last year. It’s hard to review a Pohgoh show without noting that lead-singer/guitarist Susie Ulrey suffers from multiple sclerosis. Despite being confined to sitting for their performance, Ulrey’s voice still soars. She noted that she has lost some dexterity for her guitar playing but it was not noticeable during the performance. Overall, it was great to see Pohgoh back at it. Next up was Tancred. Tancred stood out on the bill and not only because Jess Abbott was born in 1991. 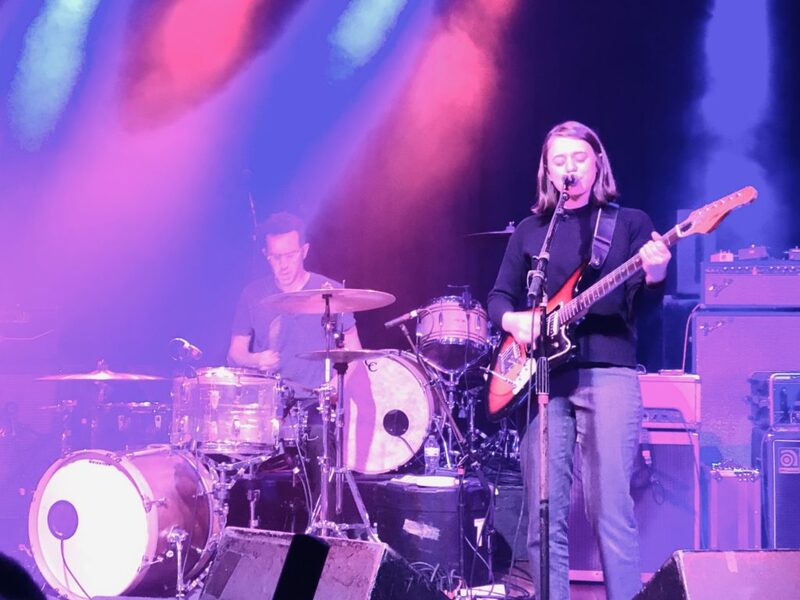 Playing songs from 2018’s Nightstand like “Queen of New York,” Tancred was much poppier than either of the other bands–not that that is a bad thing. Abbott’s voice absolutely soared live, in some ways she reminds me a lot of Liz Phair both in Tancred’s sound and how expressive she is. Although I’m not fully convinced many people in the audience knew who Tancred was before the set, almost all seemed to really enjoy it. Despite the well deserved hand for Tancred, the crowd was ready to get to Mineral. A surge of people pushed towards the stage in hopes to be as close to Chris Simpson as possible. Mineral took the stage looking as unassuming as ever. Bearded with a striped sweater and bangs covering his eyes, Simpson does dress or look like he is pushing 50. Neither did his bandmates with guitarist, Scott McCarver and bassist, Jeremy Gomez decked out in all back. Drummer Gabriel Wiley perhaps looked the youngest of the bunch donning a Tabasco graphic tee. While they looked young, there were questions on if they would sound young. Despite enjoying their two newly released songs for their book/10″ record, there is no denying that Simpson sounds different on the recording but I wasn’t sure if his voice had aged or if he singing style had. As soon as the band broke opened the set with the first three songs from The Power of Failing, it was obvious that Simpson’s voice has not aged a bit. He hit “it comes from denying everything is so screwed up/it’s so screwed up” from “Slower” with the same tenor and emotion as the album recorded 25 years ago. Scott McCarver, although just the guitarist, played with a similar emotion, fervently shaking as he tried to squeeze the right amount of feedback and power from his instrument. It was easy for me to see why seeing Mineral would be treated like a religious experience by many. It is rare to see a band return to the stage after over two decades away and still perform with the pure emotion and energy. Although I’m too young to have seen Mineral during their original run, I can not imagine it being any more cathartic than this cold, rainy night in Atlanta.